Lord baby Jesus, the "Talladega Nights" house is for sale! 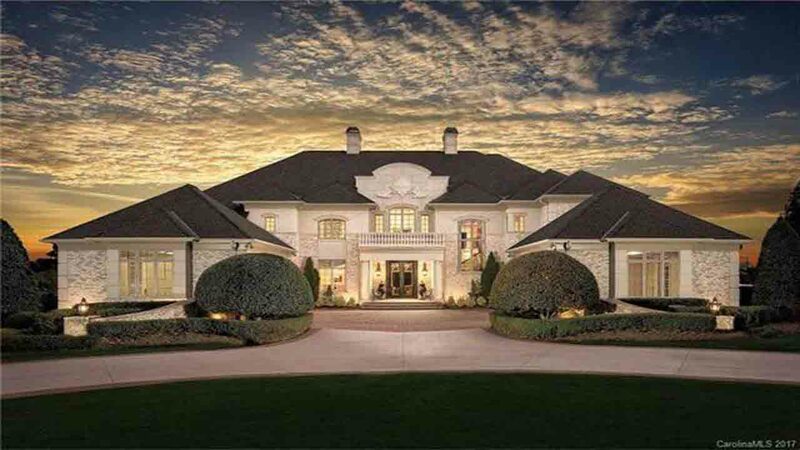 CORNELIUS (WTVD) -- NASCAR superstar Ricky Bobby's house is for sale, leaving many to say, "Thank you, infant, newborn Jesus!" The home may not seem too familiar from the outside, but it was actually featured in the 2006 hit comedy Talladega Nights: The Ballad of Ricky Bobby. Multiple scenes of the comedy were filmed inside the home, including the well-known dinner scene. This mansion has five bedrooms, six full baths, three partial baths, and many great features like outdoor fireplaces, a guest suite, half basketball court, a private beach with sand, numerous wet bars/mini-kitchens, two lake piers, an outdoor shower overlooking the pool and hot tub, an elevator, and a wine cellar. And it all could be yours, but it will cost you! This massive, 9,802 sq. foot home is listed at whopping $4.2 million with Christie's International Real Estate. But it's totally worth it. I mean, have you seen this thing? As Cal Naughton, Jr. puts it, like Jesus wearing a tuxedo T-shirt, the house says, "I want to be formal, but I'm here to party, too." And if you want it you better act fast...you know what they say - "If you ain't first, you're last."